For many years, musicians, critics and academics have debated at what point does sound become music, and music become sound? This has become something of a moot point, which even the finest musical minds have failed to come up with an answer. Despite that, most people will be able to name several everyday sounds that they believe has a musical quality. This ranges from birdsong, the mesmeric sound of train and waves gently breaking on a deserted beach. Everyone has their own particular favourite. So it seems do Ivar Grydeland and Ingar Zach, who cofounded Dans Les Arbres. When Dans Les Arbres is translated from French to English, it means “in the trees.” Straight away, this conjures up a myriad of potential musical sounds. This ranges from birdsong to wind blowing, swirling and whistling through the trees. As the seasons change, so does the music that this member of nature’s orchestra plays. What has also changed over the last two decades, is Dans Les Arbres’ music. On the ‘7th’ April 2017, Hubro Music will release Dans Les Arbres’ much anticipated third album Phosphorescence. It finds Dans Les Anbres reinventing their music, and moving away from the contemporary improvised acoustic chamber music of their first two albums. This featured on their 2008 debut album Dans Les Arbres, and then on their 2012 sophomore Canopee. Both albums were released to critical acclaim and were commercially successful. Since then, the four members of Dans Les Arbres have been busy on other projects. However, on the ‘30th’ and ‘31st’ August 2015, Dans Les Arbres found time to record what became their third album Phosphorescence. It’s marks a new chapter in the Phosphorescence story. The origins of Dans Les Arbres can be traced to latter part of the twentieth Century. That was when Ivar Grydeland and Ingar Zach began collaborating on a new project, which eventually, would become Dans Les Arbres. As the new millennia dawned, Ivar Grydeland and Ingar Zach decided to found a new record label in Oslo. Given the city had a thriving and vibrant music scene, Oslo was the perfect place to base the new Sofa label. Its raison d’être was to release albums improvised music. That is still the case today, after seventeen years and over sixty albums. Since then, Sofa Music has grown with Oslo’s music scene. Playing an important part in Oslo’s music scene were Ivar Grydeland and Ingar Zach. In the early days of Dans Les Arbres, they were a duo. The pair released Visiting Ants on Sofa Music in September 2000. This was the start of their recording career together. Ivar Grydeland and Ingar Zach didn’t always work together. Sometimes, they joined forces with other musicians they had met on the European improvised music scene. Mostly, these ensembles were short-lived affairs. All the time though, the pair were improving as musicians. A turning point came when Ivar Grydeland and Ingar Zach enrolled at the Norwegian Academy of Music between 2001. They spent the next two years studying towards their Master’s degree in Chamber Music. The course focused entirely on their own compositions and improvisations. It was no surprise that the two friends improved as composers and musicians by the time they graduated. With their graduation concerts fast approaching, Christian Wallumrød released Sofienberg Variations on ECM. The music struck a nerve with Ivar Grydeland and Ingar Zach. Musically, they were able to relate to the music. They also felt the music was related to their own. So much so, that Ivar Grydeland and Ingar Zach decided to approach Christian Wallumrød to see if he would be interesting in collaborating with them? The answer was yes. Newly graduated,Ivar Grydeland and Ingar Zach were already recording with Christian Wallumrød. This was a huge honour. Not only was Christian Wallumrød someone who had influenced Ivar Grydeland and Ingar Zach, but one of the leading lights of the Norwegian music scene. Little did the three men realise that they would reunite in 2004. By 2004, both Ivar Grydeland and Ingar Zach were already experienced musicians. Over the last four years, they had worked together on a variety of projects, and had collaborated with other musicians. The pair were members of No Spaghetti Edition, who were one of Sofa Music’s earliest signings. No Spaghetti Edition released their debut Listen… And Tell Me What It Was in July 2001. Just over a year later, and No Spaghetti Edition released their sophomore album Pasta Variations in November 2002. The same month, Sofa Music released another album that featured Ivar Grydeland and Ingar Zach. This was Wazahugy, which was a collaboration between Ivar Grydeland, Ingar Zach, Philipp Wachsmann and Charlotte Hug. It was released on Sofa during November 2002. Less than a year later, and Ivar Grydeland and Ingar Zach returned with another album for Sofa Music. This was No Spaghetti Edition’s third album Real Time Satellite Data. It was released in October 2003, and featured a guest appearance from French clarinettist Xavier Charles. When No Spaghetti Edition headed out on tour to support Real Time Satellite, so did Xavier Charles. Little did he know that his was the start of a musical relationship that’s lasted two decades. Three months after the release of Real Time Satellite Data, Ivar Grydeland and Ingar Zach returned with their sophomore album You Should Have Seen Me Before We First Met. It was released to critical acclaim in January 2004. Not long after this, Ivar Grydeland and Ingar Zach decided to return to the music they had recorded with Christian Wallumrød. The music was still unfinished, and the pair were determined to complete the project. To help complete the project, they invited Xavier Charles. Ivar Grydeland and Ingar Zach were sure that Xavier Charles could enhance the unfished project. Having let him hear the recordings, they worked on the project. This was akin to a very informal audition. The meeting went well, and a few months later, the four members of Dans Les Arbres met for the first time. The meeting took place in early July 2004, and allowed the four musicians to get to know each other. Although the first meeting as a quartet, was a success, sixteen months passed before they were reunited. The next time the four members of Dans Les Arbres met, was during the recording of No Spaghetti Edition’s fourth album Sketches of A Fusion. Three musicians were brought onboard to play on the album: double bassist Tonny Kluften, Canadian improviser Martin Tétreault and pianist Christian Wallumrød. Once Sketches of A Fusion was completed, it was released later on Sofa later in 2006. However, when No Spaghetti Edition headed out on tour, it was as a quartet. Joining Ivar Grydeland and Ingar Zach were Xavier Charles and Christian Wallumrød. As the tour progressed, the four musicians realised who well they worked together. It was a meeting of musical minds. So much so, that they decided to continue working together. The next time Ivar Grydeland, Ingar Zach, Xavier Charles and Christian Wallumrød met was at Festiviteten, Eidsvoll, in July 2006. They began to hone the nascent band’s sound. Then they started to write and record what would later become Dans Les Arbres eponymous debut alum. However, it would be twenty-one months before Dans Les Arbres was released. 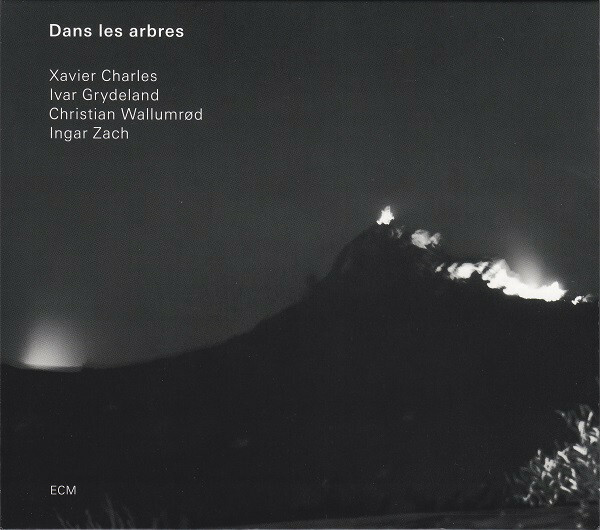 When Dans Les Arbres was released by ECM in April 2008, it was to critical acclaim. Critics were won over by Dans Les Arbres’ contemporary improvised chamber music, which was played entirely on acoustic instruments. Dans Les Arbres sold well, and soon, the pan-European supergroup, embarked upon the first of several tour. Over the new few years, Dans Les Arbres toured Europe, North America and Japan. Soon, interest in Dans Les Arbres’ was growing. Night after night, they played sold out shows. Audiences watched as the multitalented supergroup pushed musical boundaries to their limits. Soon, Dans Les Arbres were performing with Yumiko Tanaka, Otomo Yoshihide, Jim O´Rourke and the young Norwegian duo Vilde and Inga. 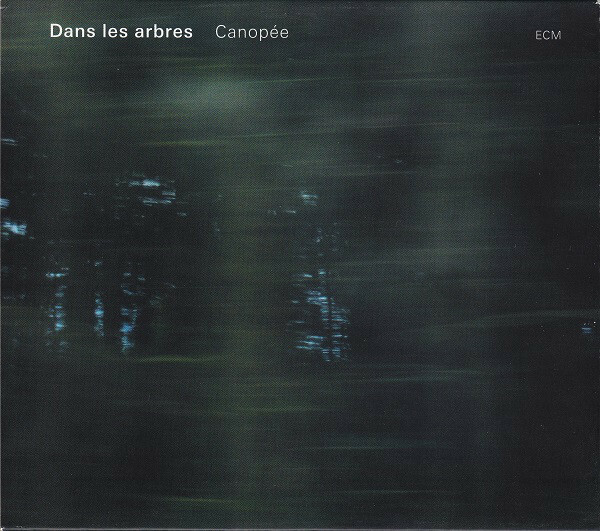 However, two years after the release of Dans Les Arbres, the band began work on their sophomore album Canopée. Recording of Canopée began in June 2010 at Biermannsgården. Ten months later and Canopée was completed at Cafeteatret, Oslo during April 2011. However, more than a year passed before Canopée was released. Eventually, Canopée was released by ECM in June 2012. Just like Dans Les Arbres, critical acclaim accompanied the release of Canopée. It saw Dans Les Arbres return to the contemporary improvised chamber music that featured on their eponymous debut album. Again, Dans Les Arbres used just acoustic instruments throughout Canopée. This proved popular among record buyers and was nominated for the annual music prize awarded by the Nordic Council. Dans Les Arbres’ star was in the ascendancy. Despite enjoying two critically acclaimed and commercially successful albums, by the time Dans Les Arbres began to think about their third album they were considering changing direction musically. This was no surprise. Many successful musicians are wary about to releasing several albums of similar material. Especially groups that feature musicians that release ambitious and innovative music. For Phosphorescence, the four members of Dans Les Arbres wrote four new soundscapes. To record Phosphorescence, Dans Les Arbres headed to Isitart, “the studio in a forest” just south of Oslo on ‘30th’ August 2015. Tehy planned to record their third album over the next two days. As Dans Les Arbres arrived at the studio, they began preparing for the session to begin. Ingar Zach would add percussion and bass drum; Ivar Grydeland played electric guitar and took charge of real time sampling. Meanwhile, Xavier Charles played clarinet and Christian Wallumrød switched between piano and synths. The four members of Dans Les Arbres would produce Phosphorescence. In the studio, Dans Les Arbres would take a different approach to recording Phosphorescence. They used a degree of electronic processing and amplified the prepared piano and guitar recordings. Real-time sampling was also used. This includes some of the sounds that featured on Dans Les Arbres and Canopée. While much of this was new to Dans Les Arbres, they still managed to complete Phosphorescence within two days. The sessions ended as planed, on ‘31st’ August 2015. With Phosphorescence album recorded, it was mixed on ’14th’ January 2016 in Ampertone by Christian Wallumrød, Ivar Grydeland and Johnny Skalleberg. Seven months later, and Phosphorescence was mastered by Helge Sten during August 2016 at Audio Virus Lab. Now Phosphorescence was ready to release. Nine months later, and Dans Les Arbres are preparing to release their third album Phosphorescence. This is the start of a new chapter for Dans Les Arbres, as they move away from the contemporary improvised, acoustic chamber music of their first two albums. It’s an exciting time for Dans Les Arbres as they released their first album in five years, Phosphorescence. Phosphorescence opens with Sciure, and straight away, there’s a sense of unease, before this cinematic soundscape builds. It becomes eerie and otherworldly, as droning, braying sounds emerge from the soundscape. Suddenly, it’s as if Dans Les Arbres have been asked to provide the soundtrack to a modern horror film. All of a sudden, the soundscape becomes shrill, before drums crack and add a degree of drama. This builds, as the drums reverberate, adding to the uneasy sound. Still, the otherworldly soundscape hisses, drones and brays before dissipating. All that’s left are four cinematic minutes where Dans Les Arbres reinvent themselves and showcase their new sound. a bell rings urgently as bubbling, squeaking and puffing sounds can be heard. Then at 4.43 an alarm sounds. It drops out, and returns, before what sounds lie air escapes from balloons can be heard. Meanwhile, the piano jangles, as drones and a myriad of sounds emerge from soundscape. Plink plonk strings joins jarring, squeaking sound and drones as Dans Les Arbres improvise. They unleash bangs, crashes, metallic, chirping, chiming and ringing sounds as the pulsating sound creates as uneasy backdrop to this captivating soundscape. It’s guaranteed to set the listener’s mind racing. Closing Phosphorescence is the title-track. An urgent burst of sound escapes from the soundscape. After it dissipates, there’s silence. This lasts nearly twenty-seconds. Dans Les Arbres repeat the process all over again. In doing so, they heighten the expectation and drama. After this happens for a third time, the soundscape meanders along as Dans Les Arbres improvise. Soon, percussive sound join squealing, squeaking and drones. Drums thunder as the soundscape becomes dark, edgy and otherworldly. Meanwhile, a myriad of disparate sounds assail the listener. Many of them have been treated by an array effects. At one point, a detuned string instrument is joined by a wash of wailing feedback as briefly,drums skips across the soundscape. Sometimes, though, less is more. Other times, the drama increases as sounds are layered and combined. Percussion joins plink plonk strings, stabs of piano and gushing, whining, buzzing jarring, wailing, scrabbling and eerie sounds. Feedback is used effectively, as it wails and screams. It’s joined by buzzing, crackling, droning, crashing sounds. They’re all part of Dans Les Arbres’ musical arsenal during this captivating fifteen minute epic journey into the unknown. Phosphorescence is a very different album to Dans Les Arbres’ first two albums. Gone is the contemporary improvised chamber music that was played entirely on acoustic instruments. Replacing it, is a much more experimental sound. It finds Dans Les Arbres used effects, amplification and real-time sampling for the first time as they improvise In doing so, this opened up a whole new world for Dans Les Arbres. This they embraced and welcomed with open arms. 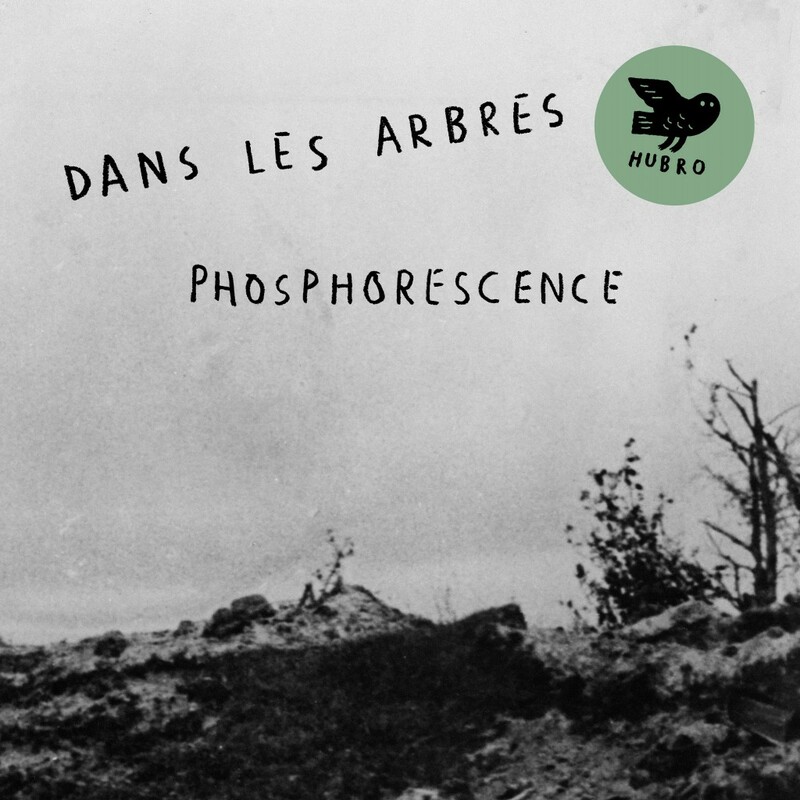 The result is Phosphorescence, which is without doubt, the most ambitious, inventive and innovative album of Dans Les Arbres’ career. Phosphorescence is also the best album of Dans Les Arbres’ three album career. They reach the heights on their long-awaited and much-anticpated third album Phosphorescence, which will be released by Hubro Music on ‘7th’ April 2017 after a five year wait. Phosphorescence finds Dans Les Arbres’ combining elements of avant-garde, experimental, improv and industrial music. It features four soundscapes, which are variously cerebral, cinematic, dramatic, edgy and otherworldly. Other times, the music on Phosphorescence veers between hopeful and melodic to eerie and unsettling. Sometimes, it’s akin to a journey into the unknown, that’s full of twists and turns and subtleties and surprises. Always though, the music on Phosphorescence is captivating, compelling and though-provoking, as Dans Les Arbres reinvent themselves musically, and paint pictures on their career-defining third album Phosphorescence. ← WARREN STORM-THE HUEY MEAUX YEARS.